Is Google pushing Apple out of U.S. classrooms? Chromebooks are quickly becoming the standard device in U.S. schools while Apple’s market share continues to slide. Google continues to gain share in the education market at Apple’s expense. 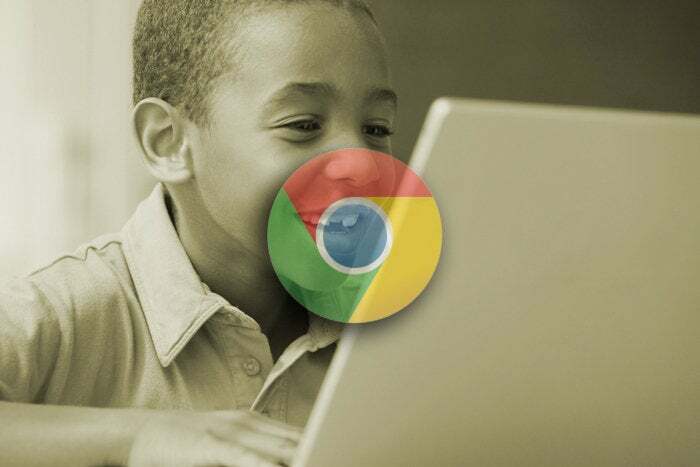 Chrome OS powers almost six out of 10 computing devices shipped to K-12 schools in the United States last year, according to a new report from research firm Futuresource Consulting. A growing number of inexpensive Chromebooks are making their way into U.S. classrooms while iOS -- and to a lesser extent MacOS -- devices are losing considerable share. Google’s Chrome OS comprised 58 percent of the 12.6 million units shipped to primary and secondary schools in the United States last year, up from 50 percent in 2015 and 38 percent in 2014, according to the report. During 2016 iOS’s market share steadily declined to 14 percent, down from 19 percent in 2015 and 26 percent in 2014. Meanwhile, Microsoft has maintained relative stability in the education market. Windows powered 22 percent of all computing devices shipped in 2016 and 2015, according to Futuresource. Overall shipments of PCs and tablets were up 18 percent year-over-year to 12.6 million, up from 10.7 million in 2015. “The strong combination of affordable devices, productivity tools via G-Suite, easy integration with third party platforms and tools, task management and distribution via Google Classroom and easy device management remains extremely popular with U.S. teachers and IT buyers alike,” Futuresource wrote in the report. The marked difference in share between Apple’s iOS and Google’s Chrome operating systems is less so outside of the United States. Windows dominates the education market in the rest of the world where it captured 65 percent of of the 13.6 million units sold in 2016, according to the research. Apple’s iOS and macOs combined for 11 percent of the international market, while Google grabbed a 23 percent share last year. Apple’s share of the international education market has been stable since 2014, but Google isn’t faring so well outside of its home country. Android, which comprised 1 percent of the U.S. market last year, has declined to 17 percent globally, down from 36 percent in 2014 and 26 percent in 2015, according to Futuresource. “Whilst the growth of Chromebooks has certainly been a major headache for Apple and Microsoft, they are not standing still,” the firm wrote in the report. Apple’s “Classroom” app and education-specific features in iOS, including multi-user support for iPads, are a positive development for the Cupertino giant. Meanwhile, according to the firm, Microsoft should benefit from the launch of “Microsoft Classroom,” new education administrator controls and the release of more Windows 10 devices that will compete with Chromebooks on price.